10 best battle royale games like PUBG Mobile or Fortnite on Android! Fortnite and PUBG Mobile hit Android in a big way. Both games have millions of players already and it jump started the battle royale genre on mobile. They are also two of the best first-person shooter games available. However, they are not for everyone. Both games have long play times with a fairly simple premise. Some players may want to try something else in the genre. We can help with that! Here are the best free battle royale games on Android right now. We intend on adding games like Brawl Stars and H1Z1 when they become more widely available. More battle royale stuff here! Conflict.io is a fairly basic battle royale game. It has all of the desirable elements. You spawn into a map with a bunch of players. Everybody kills one another until only one remains. The game features 35-player battles, a bunch of weapons, simple controls, and more. There are some occasional lag and connectivity issues. However, it's an accessible game into the world of battle royale. It's a freemium title, but most battle royale games are. The developers are also apparently working on network stability in future updates. Creative Destruction is extremely similar to Fortnite. In fact, we consider it a clone. It's a decent clone, though. The game includes a large map with varying landscapes and 100-person matches. You can craft and destroy stuff. Additionally, you can play in third or first person perspectives. We thought that was really fun. The game runs terribly on some midrange and low end phones. Additionally, it has the occasional bug. However, the experience was still quite good in our testing. Fortnite had a controversial launch. However, it's easily one of the best and most popular battle royale games. The game includes a 100-player battle royale. You drop into an island from a plane, build your armaments, find weapons, and take out the other players. There were some issues with early versions of the game. 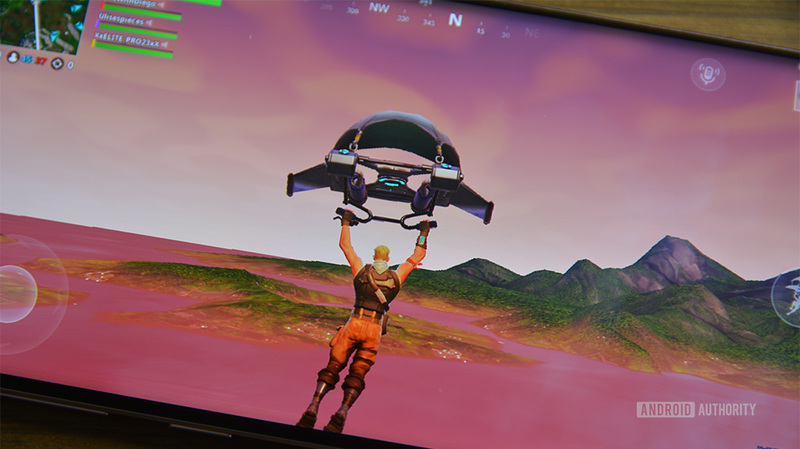 However, Epic Games continues to optimize the game for more and more devices every update. Hit the link above to sign up for the almost-open beta, see a list of compatible devices, and learn how to install the game. It is not available on Google Play. Garena Free Fire is one of the most popular battle royale games. It's weird that it doesn't get as much chatter as Fortnite or PUBG considering its 100 million downloads. The game includes ten minute games with up to 50 participants. It uses shooter mechanics like most of its peers. You can also create four-man squads with a voice chat. Our testing went surprisingly well. The graphics are decent and the game play is smooth. Loading is actually fairly quick. There honestly isn't a lot wrong with this one. It is a freemium game, though, to the surprise of nobody. There are a ton of IO games out there with battle royale elements. Some notable examples include Axe.io, Agar.io, Slither.io, Arrow.io, and many, many others. The games usually put you in the middle of a massive battle of some sort with a bunch of random players worldwide. The mechanics differ by game. Axe.io has axes and Agar.io uses blobs. However, the core premise is the same for most of these games. There are a lot of people with you and you keep going until you or everyone else loses. They are usually freemium titles and they all seem to suffer from similar connectivity and lag issues. However, they are probably the simplest battle royale games available. 10 best Android hack and slash games and beat ’em up games for Android! Knives Out is another popular battle royale game on mobile. It features a lot of the same mechanics you see in other games. You drop into a map and try to survive against everyone else. The game features simple mechanics, team play, a varied map, and plenty of weapons. It's about as typical of a shooter battle royale experience as you can get. This one does have a problem with players breaking the rules and some connectivity issues. We saw more complaints for this one than most others. It's still a decent experience, but we might recommend one of the others before this one. Pixel's Unknown Battle Ground is a clone of PUBG, obviously. It uses pixel style graphics, but most of the mechanics and controls are the same as other shooter battle royale games. You drop in, find stuff, kill the other players, and survive the longest. This one also features an in-game chat, auto shooting, lower graphics settings for lower end phones, This one has some stability issues that we noticed during our testing. Frankly, if you're going for something like this, you might as well go with PUBG Mobile itself. Still, it's better than most of the other PUBG clones on Google Play. Rules of Survival is another PUBG clone with a lot of the same elements. You drop in from an airplane, find stuff, and kill people as per the norm. This one has some additional weapons, vehicles, and matches with 120 players. It's a little less composed than most battle royale games, but that also adds an element of chaos for better or for worse. It has stability and lag issues like most other games. Some matches were more fun than others. It's also a freemium game like most of the others. It's different, but not by a lot. PUBG Mobile is one of the two big names in battle royale games on mobile. Most of the other eight games on this copy off of PUBG Mobile or Fortnite. It features 100-person matches on a large map that slowly collapses to get players to engage with one another. There are a variety of weapons, gear, and vehicles to aid in destruction. It's a surprisingly stable game that runs fairly smooth as long as you have the right graphics settings for your device. There is also a PUBG Mobile Lite version for those with lower end devices. It has less intense graphics, 50 players instead of 100, and a few other optimizations. ZombsRoyale.io is an arcade shooter with battle royale elements. You drop into a world with a bunch of players. The goal is to be the last person standing, obviously. It uses simple 2D graphics, simple controls, and simple mechanics. It doesn't take long to learn. Additionally, there are team play modes, a metric ton of cosmetic stuff, leaderboards, weekly events, and more. This feels more like a mobile game than a console title ported to mobile. That's perfectly okay, but it does come with a bunch of freemium elements. Plus, the stability is a little rocky on occasion. Otherwise, it's a decent experience. Thank you for reading! Try these as well! If we missed any great battle royale games for Android, tell us about them in the comments! You can also click here to check out our latest Android app and game lists!